Hendrick teammates chat on pit road. Caption this! 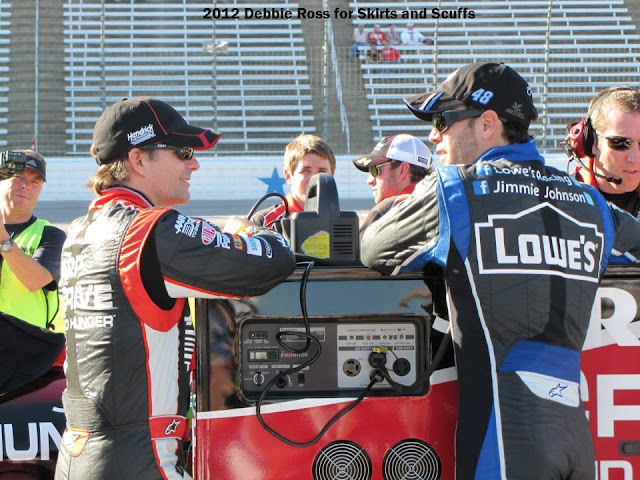 "...like it or not Jimmie, I'm still 1/2 your boss"
I'm telling ya Jimmie, Tony Danza was not the boss! Man up Jimmie. If you're wrong just admit it and move on. Ya big baby.